SMSgts are key, experienced, operational leaders, skilled at merging their personnel's talents, skills, and resources with other teams' functions to most effectively accomplish the mission. SMSgts continue to develop their leadership and management skills in preparation for expanded responsibilities and higher leadership positions. SMSgts normally operate at the operational level of leadership. Promotion to senior master sergeant is the most difficult enlisted promotion to attain in the Air Force. It is the first enlisted grade to which results of a central promotion board are the primary factor in selection for promotion. Usually, less than ten percent of eligible master sergeants are selected for promotion to senior master sergeant in most years. Selectees typically have vast technical and leadership experience gained from a broad variety of assignments at both line and staff functions throughout their careers. Additionally, the successful candidate will typically have completed an associate's or bachelor's degree in their Air Force specialty as well as the Senior Noncommissioned Officer Correspondence Course and have had their latest performance report endorsed by a senior rater, usually a colonel or brigadier general. Senior master sergeants typically assume superintendent duties, overseeing enlisted members' efforts to accomplish a major segment of a unit's mission, in preparation for promotion to the rank of chief master sergeant. They are expected to serve as mentors for noncommissioned and junior commissioned officers. Senior master sergeants in the first sergeant special duty serve as first sergeants of larger units than those employing master sergeants as first sergeants. These first sergeants (pay grades E-7 to E-9) are referred to officially as "First Sergeant" (regardless of their pay grade), and unofficially as "First Shirt" or simply "Shirt". Public Law 107-107, the "National Defense Authorization Act", establishes senior enlisted strength levels for all branches of the US military. Currently, only 2.5 percent of the Air Force's total active duty enlisted strength may hold this rank. Senior master sergeants are sometimes casually referred to by the nickname of "Senior". The official terms of address are "Senior Master Sergeant" and "Sergeant" per Air Force Instruction 36-2618. Although the Air Force had been an independent service since 1947, the rank of senior master sergeant did not come into being until the authorization of the Military Pay Act of 1958. This act established the pay grades of E-8 and E-9 but without title. It wasn't until late 1958 that the title of senior master sergeant (and the accompanying rank insignia) was decided upon after the enlisted force was polled. At that time, the senior master sergeant rank had only a single chevron above and six below, and a chief two above and six below. 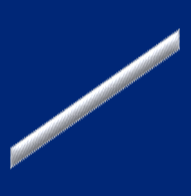 In 1991 the Air Force changed its NCO insignia so that a maximum of five stripes were placed on the bottom of the chevrons, adding one above to each of the top three grades, resulting in the present form. ↑ "10 U.S.C. § 517". law.cornell.edu. http://www.law.cornell.edu/uscode/text/10/517. Retrieved 2013-07-20.